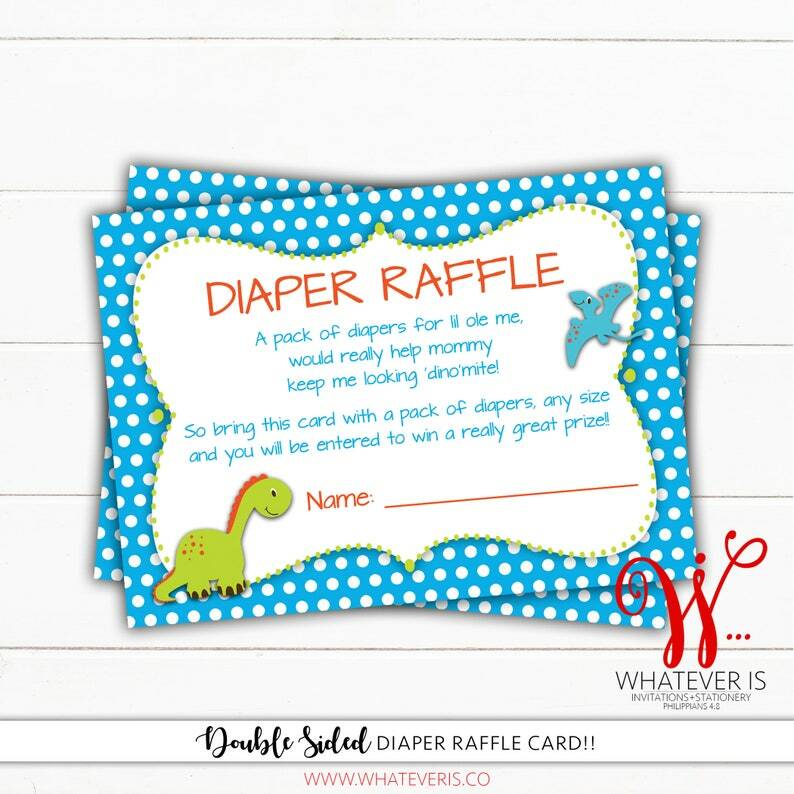 Add a little fun to your baby shower with this cute Dinosaur themed Baby Shower Diaper Raffle Card. •The diaper raffle cards will be printed as shown... Double Sided... in the size of your choice. Your diaper raffle cards will be printed on high quality card stock. 2. Decide and choose the size of diaper raffle card you need.